Who said Google gets to have all the fun on iOS? Word from the Wall Street Journal is that Apple is chatting with Yahoo on ways the latter's services can have a more prominent role in iPhones and iPads. iOS phone owners already have Yahoo Finance and weather apps baked into their handsets, while some data, like sports stats, circulate in Siri, but the Journal's sources are talking about an even deeper integration. One facet of the discussions reportedly centers around packing iDevices with expanded sports stats, info from Yahoo News, and other Yahoo web properties or possibly stuffing more Yahoo goods into Siri. Increasing Yahoo's presence in iOS isn't too earth shattering, but apparently Yahoo has contemplated a loftier takeover, one that could get it into more mobile devices while also helping Apple put a longer arm between it and a certain Mountain View firm. 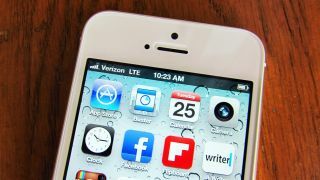 Though "still a long shot," Yahoo has reportedly pondered ways it could provide search results to replace Google in iOS. There are a few hitches to this happening, not least of which is Yahoo's 10-year deal with Microsoft's Bing to power its search service. What's more, Google has done its part to stay relevant - and in demand - on the competing platform by bringing a host of its apps to iOS, making unseating it and making Apple less antsy all the more unlikely. One interesting wrinkle in the Journal's report is that the publication noted Eddy Cue, senior vice president of internet software and services at Apple, has joined other execs in saying they aren't willing to sacrifice the quality of Google search in the company's products. However, Bloomberg reported late Tuesday that Yahoo CEO Marissa Mayer and Cue have met to discuss a deeper relationship between the two firms, though those talks seemingly center around bringing more Yahoo services to iOS and not necessarily on search. No deal is imminent and so far the discussions look like little more than hot air, but we'll keep you posted on any and all updates.